If there is one area which requires the maximum amount of time to master, it is Verbal Ability. Ironically, this is the same area, given the least amount of time for preparation by almost every student who writes CAT. Preparing for a Verbal area is actually a long-term proposition and saying that one can master the same in four months would be blasphemy. Having said that, it is not impossible to understand the nuances of the Verbal area and start scoring within eight to ten weeks. 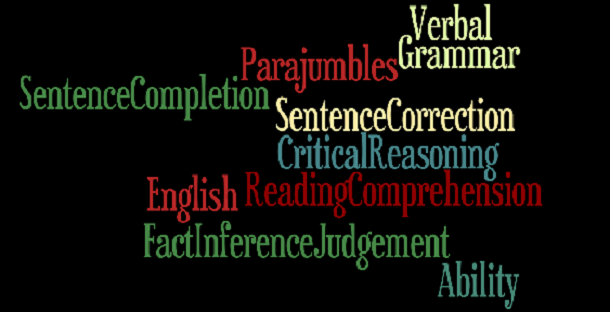 The keys to both Verbal Ability(VA) and Reading Comprehension(RC) are Grammar and Vocabulary. Hence, apart from writing hundreds of tests (which a student is more wont to do), the serious student should start building his diction and bettering his Grammar. The best way to improve Vocab is by reading. Reading tons and tons of books. But then, we don’t have the luxury of such time if we are writing the CAT exam this Oct/Nov. Yet, over the next 120 days, if one were to add 5 words a day to his repertoire, clearly he would be richer by more than 600 new words before the exam. These 600 words could give an understanding to at least another 1200 related words if one were to look at related words (synonyms and antonyms). This addition of words to one’s diction can improve one’s score in CAT by at least 15 marks from wherever one starts. VistaMind App (on Android phones) delivers FIVE such words everyday and with an additional archive of more than 500 words which are in vogue. However, reading a Newspaper everyday (for 30 min) can also add four to five words on a daily basis. While there are hundreds of rules in Grammar, if one sees pattern in the way the parts of speech are used, it is as logical as a mathematical concept. Yet, going through some coaching classes – online or offline – to understand the various nuances of the usage of the English language will make one better equipped to tackle the questions that arise in every type of question in VA and RC. In this case on an average how many articlaes i should read daily and what should the mind set+strategy while reading articles from such fields?